As a rule, I typically do not accommodate guest posts that are thinly veiled advertisements. However, Elaine Hirsch of Online Schools did an admiral job in restraining herself and staying on point with a look at the complexity of issues surrounding oil drilling in the Arctic region. There are a variety of environmental, logistical, and economic concerns associated with it. Charting a sane course in the years to come, could be a tricky proposition. From CNN to every environmental science class in every accredited online school, arctic drilling is part of the modern public consciousness. While many believe it is the answer to the pains caused by high energy costs, others belief it will destroy the natural beauty that still remains pristine while tucked away in the north. On April 18, 2012, Exxon and the Russian oil company OAO Rosnef presented to New York City financiers the financial details of their 3.2 billion dollar agreement to begin drilling for oil in the Russian portions of the Arctic Ocean and Black Sea. According to a report issued by Bloomberg Media, this agreement gives Exxon the right of access to billions of barrels of oil in the Russian sectors listed above, while Rosnef receives the right to invest in oil projects in Texas and the Gulf of Mexico. In light of this agreement, of which Arctic drilling is a crucial part, it may be worthwhile to assess the costs and benefits of Arctic drilling. The controversial procedure will only be used more frequently in the future as the world’s energy needs continue to grow. One of the primary objections to Arctic drilling is the environmental impact it may have. 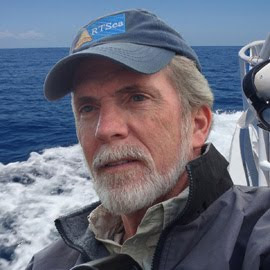 However, assessing this is challenging particularly because, according to the European Consortium for Ocean Research Drilling, the Arctic Ocean has yet to be exhaustively studied. The amount of data scientists have, with regard to its baseline ecosystem conditions is extremely small. 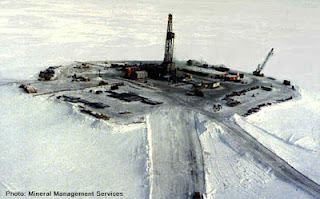 Additionally, because the Arctic Ocean is not well-charted, any sort of ocean Arctic drilling project (80% of oil in the Arctic has been found under water, rather than land) first needs to undergo extensive site studies for its suitability, environmental safety, and, of course, for how much oil may be present. As a result, any Arctic drilling project has high start-up costs, assuming that all environmental concerns are properly addressed. Additionally, drilling in the Arctic Circle poses significant challenges aside from the simple expense of assessing environmental impact. Due to its location, special consideration has to be made for workers, since the area is extremely cold and inhospitable for normal human habitation. This problem is exacerbated by the fact that the Arctic Circle is predominantly dark for half the year. During the deep winter months, or September to March, many locations within the Arctic Circle are dark twenty-four hours a day. Finally, much of the Arctic Circle is composed of ice, some of which melts in the summer and re-freezes in the winter, making it challenging to construct permanent drilling stations in such an environment. That said, according to an article published by Money Morning, due to overall global warming, some of these problems are becoming ameliorated – based on scientific evidence, the Arctic Circle is indisputably less icy and warmer than in was when records began to be kept in 1979. As a result, some areas in the lower Arctic Circle are now water year-round, and more areas have less ice less of the year. Scientists estimate that by the year 2050, there will be no permanent ice cap at the North Pole – in the summer, it will turn to liquid. This makes the job of drilling for oil far easier, and may encourage what is already becoming a scramble to the Arctic to find resources. As also reported by Money Morning, the advantages of pursuing oil in the Arctic are simple: not only do many countries have access to portions of the Arctic Circle, the amount of confirmed oil currently available is 240 billion barrels, spread across four hundred different locations. Moreover, further exploration promises to yield discovery of many billions of barrels more. The amount of money that can be made in such projects is staggering. For example, it is estimated that Russia, which is perhaps the most permissive country in allowing Arctic drilling projects, is propping up its economy with the practice. Currently, two-thirds of its exports are from oil, while one-third of its GDP is based on oil sales. Additionally, Greenland is using the prospect of Arctic oil as a method for gaining financial independence from Denmark by permitting international conglomerates to drill on its land and water. There are rumors that once Greenland becomes financially independent, it will then seek political independence from Denmark as well. Clearly then, the Arctic Ocean, as it continues to melt and it’s resources continue to be discovered, will be a major factor in further worldwide financial and political machinations. However, not all international organizations are onboard with this behavior. As reported in a recent article run by the Guardian, Lloyd’s of London (the large London-based insurance company) warns all companies and countries to step back and consider their actions with regard to the Arctic. 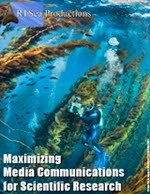 As most famously demonstrated by the British Petroleum oil spill in the Gulf of Mexico in 2010, the environmental, financial, and political fallout from a botched extraction can be enormous. And it may be entirely more problematic in the Arctic. Lloyd’s of London notes that because of the overlapping jurisdictions of the Arctic Circle, the unclear environmental impact that a spill may have, and the presence of several ecosystems within the Arctic Circle, it is difficult to assess what the damage would be were a spill to take place, and how many countries would be affected. Moreover, were a (relatively) small company to spill, it would almost certainly be bankrupt, while a larger company would be severely hampered. Lloyd’s of London has said that the risk assessment of Arctic drilling is currently difficult to manage – meaning that obtaining insurance for drilling may currently be difficult or impossible – and that further research and study needs to be done before the process can be deemed safe. Therefore, even as more companies and countries enter the Arctic in search of oil and prosperity, the extraction process remains controversial and fraught with peril. Drilling in the arctic is a difficult subject to tackle as both prosperity and conservation are of paramount concern in modern society. However, keeping the debate nonpartisan and moving forward will ensure that the debate will be looked at clearly and the best decisions will be made.